Black Lives Matter and the International Solidarity Movement are teaming up with the Palestinian Arabs to try to create the same irredentist-type movement the Arabs practice against Israel, but this time against the United States. Melanie Franklin was an American black wannabe revolutionary back in 1979 in New Orleans who was enamored of the Ayatollah Khomeini’s revolution in Iran. She converted to Islam and moved to Iran where she became a news anchor for Iran’s propaganda channel, Press TV. Melanie thus became Marzieh Hashemi, a news anchor for the Iranian propaganda channel and the frequent host of Press TV’s English language show, the Debate. Hashemi thus became an American Tokyo Rose for Israel and America’s implacable enemy, Iran. I’ve had personal experience with Hashemi, having appeared on the Debate show many times over the last few years. 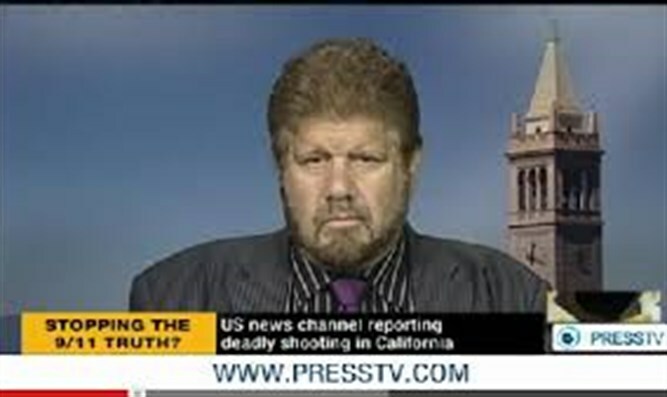 As a show host, Hashemi frequently accuses Israel and the United States of “human rights abuses”, particularly against black Americans. Questions about racism in America from her are more accusations than serious news reporting or investigating. Press TV is not allowed to broadcast inside the United States because it is a propaganda channel. However, to most western viewers unfamiliar with totalitarian news centers, Press TV’s slick presentations of their version of “news” has the ability to fool the uninitiated into thinking it is a viable news channel such as Fox, CNN or MSNBC. Hashemi was detained at the Lambert International Airport in St. Louis and arrested as a “material witness” with unspecified charges on January 29th. A material witness by legal definition is “person who apparently has information about the subject matter of a lawsuit or criminal prosecution which is significant enough to affect the outcome of the case or trial.” Such information is sought for a Grand Jury or law enforcement agency gathering evidence. Hashemi was briefly incarcerated, then released. The FBI refused to say what she specifically was arrested for and, as usual, the mainstream media couldn’t care less, merely repeating Hashemi’s accusations of discrimination and abuse against her by the big bad U.S. government picking on a poor Muslim woman. In lockup, she claimed she was forced to remove her hijab for identity reasons and given only some crackers to eat. This article will tell you why she was detained and designated a witness. It has to do with tying together some of the worst demagogues and race baiters and Islamists in the United States, from Louis Farrakhan to Al Sharpton, Ali Abunimah, to Anna Baltzer and even La Raza, the Latino secessionist group. Hashemi already let Farrakhan explain in an exclusive interview in Iran on the Web that it’s the “Satanic Jews” who are responsible for the problems of the oppressed people in America, particularly those in Black Lives Matter, and black women. This interview, it should be understood, is actually a prelude to holding off a potential race war pitting black Americans and other minorities against the white majority by including demands for ceded U.S. territory and “reparations” for the “463 years of oppression and tyranny” by white people against American blacks,” according to Farrakhan. The interview can be seen on the Nation of Islam website, You Tube and all over the Web. 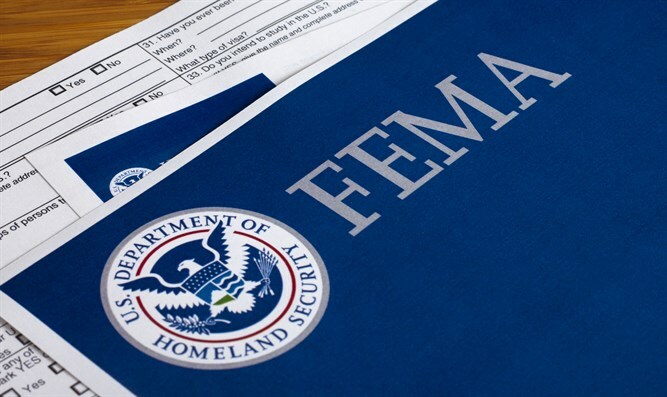 Homeland Security does not always play the fool when it comes to the organizations these people represent and their subtly calling for violence along with attempting to secede from the United States and demanding “reparations” to do so. For those up on U.S. history, the Civil War began when the South seceded from the North. In a sense, it also began when John Brown marched on Harper’s Ferry against U.S. Citizens and the U.S. military. “We believe Allah wants us to separate from America. We don’t want to be integrated. We want territory we can call our own. Along with our Latin brothers we want to separate” [from America]; “a divorce with a land settlement and reparations are a must. We can’t live with this peace.” He continued, “They want peace on their terms. There were so many promises given to black people. So may promises made but never carried out” he whined to Hashemi. “We can get our land, but it won’t be without Allah”. Farrakhan promised violence if needed to get that land. “You haven’t seen nothing yet,” he intoned, referring to the Michael Brown race riots in Ferguson, Missouri and the Freddie Grey riots in Baltimore and the Trayvon Martin case that led to riots in the U.S.
Hashemi came to the U.S. to meet with contemporary radical leaders no doubt to promote their cause, which is threatening the U.S. government with violence to get their way. Harper’s Ferry was a protest against slavery and Farrakhan outlined in his interview his goal is to combat such oppression today. But it’s just the opposite. Ferguson, Missouri is a short ride from St. Louis which is the home base for one Anna Baltzer, a main leader and recruiter for the U.S. Campaign to End the Israeli Occupation, a national clearing house for the International Solidarity Movement that promotes BDS and other anti-Israel operations worldwide. Redubbed the Campaign for Palestinian Rights, but still under Baltzer’s leadership, her group is expanding its fundraising and allying itself with Black Lives Matter. Palestinian strategists use a tactic called "intersectionality" to fool well-meaning (or ignorant) people into thinking attacks on the Jews are human rights movements. The goal today is to make the Palestinian and irredentist Latino movements look like freedom fighters when they ae subversives against Americans and American democracy. Among radical Latinos in the United States, there is another close ally known as La Vos De Azatlan who Farrakhan called his Latino brothers in his Hashemi interview without naming them. Farrakan included them as his brothers and allies who must get land and reparations from the U.S.A.
Like Black Lives Matter, La Voz De Azatlan advocates against the police. During one Black Lives Matter demonstration, marchers chanted “Pigs in a blanket, fry them like bacon!” and an increase in assassinations of police officers has occurred since BLM and Azatlan began working together. Both of these groups, just like Farrakhan’s Nation of Islam are also very anti-Semitic and spend their efforts calling for the destruction of Israel. Thus Farrakhan and Black Lives Matter, along with La Vos De Azatlan, are taking lessons from the Palestinians’ playbook. The Palestinian movement claims it is the real owner all of the Land of Israel “from the river to the sea” and draws donations in the millions from Iran and other enemies of the Israeli government as they insist they will destroy Israel and end Jewish dominance in the Holy Land. Jerusalem has been the Jewish capital for millennium so her accusations are pure sophistry designed to deconstruct history and facts. Farrakhan’s Nation of Islam (NOI) is considered among the worst anti-Semitic organizations in the U.S.by the Anti-Defamation League that goes back to the 1930’s. Nation Of Islam was funded for years by the likes of Muammar Qaddafi and other Arab leadership meant to attack the Jews. Recently, one Black Lives Matter acolyte and black demagogue, Marc Lamont Hill, was fired as a commentator by CNN after he spoke before the UN where he called openly for Israel’s destruction and a Palestinian Arab state “from the river to sea” and praised the “resistance” against Israel and the West. Hill was no doubt used to preaching to his choir against Israel, the U.S. and the Jews because he lost his speaking platform when CNN fired him. No stranger to lying for his cause, he claimed he’d never been to Israel, yet here is a video to prove he had. Black Lives Matter and the International Solidarity Movement are teaming up with the Palestinian Arabs to try to create the same irredentist-type movement the Arabs practice against Israel worldwide, right in the United States. So you may ask, why was Hashemi arrested in St. Louis? It was because St. Louis is the hub area from where a national conspiracy is getting organized and played out by assorted “resistance” groups against the United States and the American people. Anna Baltzer’s group is based there, and now Black Lives Matter is in the lead, but the movement is also a consortium of the International Solidarity Movement, Al Sharpton’s National Action Network, and Ali Abunimah’s Arab-American Action Network. St. Louis is Anna Baltzer’s main locus. It is where she leads a tax free foundation of over 350 similar organizations who all link up with a hatred for Israel as lowest common denominator. That is the starting point for attacking U.S.institutions using race as a bait. And Marzieh Hashemi has the Media clout to help them do it. Anna Baltzer urged those in attendance to descend on Ferguson, Missouri to riot over the Michael Brown killing which occurred when an officer whose gun Brown tried to take shot him. During the riots, an operative member of Baltzer’s International Solidarity Movement, Jeff Pickert, alias Max Suchan, was arrested while trying to incite rioting among the black demonstrators in Ferguson. A Grand Jury of Ferguson’s citizens of all colors found the police officer innocent. Nevertheless, the rioting went on for days. This shibboleth came into standard usage by Black Lives Matter and other radical groups and showed up next in North Carolina where the city council forbade the local police to train with Israeli police. The local police had never trained with Israelis, nor did they have any plans to do so, but the innuendo that they did played for weeks and helped a black candidate for Sheriff defeat his opponent. Fewer people have noticed a ramping up of violence by blacks in areas such as New York’s Crown Heights - against Jews. On the surface what may seem isolated incidents of violence, actually are following a pattern that fits into Farrakhan’s threats and the less-than-savory plans of activists like Al Sharpton who is seen in mainstream media and even enjoys a network television show, despite his history of violent anti-Semitism. During the Hashemi Press TV interview, Farrakhan was pandering to potential donors from Iran for his movement. “If we look at the suffering or African Americans, it is only half of what the Iranians have endured,” he said. He claimed that “every day” in America a black child was murdered or police shot a black American at police stops. Facts do not bear these claims out. More whites are killed in accidental police shootings than blacks and many such shootings involve black officers. Adjusted for demographics, income, residences, black victims may be a higher absolute number, although not necessarily but to suggest this is due to a U.S. government program or plan is nonsense. Farrakhan claimed his Million Man March back in 1996 in Washington D.C. was a big success and that Washington experienced nothing negative. He suggested he could match such numbers of black men and others behind him. In fact, history showsFarrakhan never got even one million black men to attend it the first one in 1995, the redux in 1996, nor his most current one. Allusions to the March back then are broadened today by Farrakhan’s calls for militancy. Farrakhan, in the Press TV interview with Hashemi, declared President Trump the “modern Pharaoh” who was mistreating the black community, but that his own movement would be a success because Allah was behind it. He then likened his movement to the Jews fleeing from Pharaoh in the Bible only to have Pharaoh’s forces drowned. “You haven’t seen nothing yet” he foretold. Of special note, Farrakhan also explained in a veiled threat in the video that his movement foretold of Allah’s will to be carried out by UFO’s that Trump is ignoring, but which Farrakhan’s acolytes would also drown. Few people know that the Nation of Islam, not really based on mainstream Islam, actually teaches that NOI members will be taken aboard a flying saucer one day on behalf of Allah. Most people probably take Farrakhan’s threats as the ramblings of a mental patient, a demagogue who appeals to the prejudices of the ignorant. But Farrakhan has a sizeable following in the United States, especially in the black community. Referring to his Latino allies calling for land and reparations from America, Farrakhan claims he has another 50 to 60 million followers in the US aside from the Black Lives Matter community and the Palestinians radicals and Islamists Anna Baltzer runs with. Marc Lamont Hill lost his sounding board with CNN when he excused violence against Israelis by the Palestinians. No doubt Farrakhan and his colleagues are busy playing catch up in the Media. Meanwhile, the mainstream press is afraid to call the remarks and actions by these people as treason. But that’s exactly what they are preaching. And they are threatening our homeland security. Ali Abunimah is a Palestinian-American activist who is part of this crowd. He wrote once in Lebanon’s Daily Star newspaper that nonviolence is overrated in the Media where Palestinian activism is concerned. He also praises the missiles fired into Israel, and whatever he can get away with. Abunimah is also a player in the Arab-American Action Network (AAAN)and tours American college campuses extolling the virtues of Hamas and other Palestinian terror groups to black Americans and anyone else who listens. Rasmeah Odeh, a convicted PFLP murderer who killed two Jewish college students in Israel, then lied about it when she emigrated to the United States, was given a sinecure for years with AAAN until the U.S. Government deported her not long ago. Al Sharpton’s National Action Network falls in line with the other activists discussed in this article. Sharpton has a history of attacking the Jews and his own government. Most notably Sharpton supports Farrakhan in his speeches and political movements to incite America’s blacks to support the likes of Farrakhan. The noise currently emanating over the Border Fence to be built on the Mexican border is all part of these gangs’ copying the Palestinian revolution as they see it playing out in the U.S. Every week the news media reports on Palestinians attacking Israel’s security fence in the 'West Bank' to threaten Israel’s sovereignty. The same situation exists in Gaza where weekly riots, bomb attacks, missiles and rioting also follow trying to disrupt Israel’s border with Gaza. Israel, of course, has not been in Gaza since 2005, yet the Palestinian Arabs disseminate unending lies of Gaza being an open air prison where the Arab population lives an existence comparable to the Holocaust. It’s a Big Lie but audiences in the EU and in the leftist colleges in America frequently fall for it. They don't see the luxury hotels and shopping areas where the wealthy Gazans go - while ignoring their poverty stricken fellow residents. Imagine in coming years as busloads of college radicals and activists from these myriad groups make their ways to America’s new security fence on the Mexican border. Then take a look at Gaza and the 'West Bank'. At the same time this consortium of evil will also be demanding chunks of U.S. territory beyond the border with Mexico, assaulting U.S. police and Border Patrol officers and engaging is violence just as the Palestinian Arabs are doing today. Threats to use violence against Americans, to illegally misappropriate land the belongs to the United States, in addition to the international network set up by these treasonous activist leaders and their minions, menacing organizations and any people with a grudge may justify lawsuits by Homeland Security to exercise legal control before things get totally out of hand. When Farrakhan talks of more than 60 million people attacking the government his threats of “You ain’t seen nothing yet” ring true, Exactly what Marzieh Hashemi knows as a material witness for the US government may not seem clear yet, but she probably has been discussing all these revolutionary scenarios both in private and public with the likes of Farrakhan. Maybe Homeland Security is being pro-active for once to prevent race rioting and violence that can tear our cities apart in the future. Black Americans, white police officers, Jews at synagogue and others are already dying so this is time to nip this in the bud before all really do see something in the near future. The real Tokyo Rose was convicted of treason but later pardoned when it turned out she made jokes out of her broadcasts. Hashemi does the opposite, she puts all of her command of English and U.S. History to work at propagandizing against the U.S., Israel and Western democracies - and on putting a good face on Hamas, Hezbollah and other terrorist groups. In today’s relaxed atmosphere of “anything goes” prosecutions for treason are seldom followed through, but the laws are still on the books, and Melanie Franklin, Marzieh Hashemi, has more than shown her contempt for western style democracy or as being against totalitarianism. Melanie Franklin is still a U.S. citizen subject to prosecution for treason and her arrest as a material witness may lead to this.